ceramic machinery,rollers,rubber sticks,etc. Driven by gear box universal coupling , equipped with Variable speed motor to drive . Which ensures high quality balancing and precision. Constant Climate Balanced Temperature Humidity Control System Testing Machine Application: Environmental / Climatic Chamber. It's appropria-te for testing material performance, such as resist heat, resist dry,resist humidity and resist cold. 3. Completely independent system separate for testing in high temperature, low temperature and constant temperature & humidity environment. &bull; Auto-positioning bed,17#LCD screen,large tool carriage structure &bull; Dedicated bracket,driven by Nylon belt ,variable speed motor 230W This balancing machine is widely used in balancing rotatable bodies, such as kinds of small-sized motors rotors, impeller, fans, crankshaft, turbocharger, water pump, roller, grinding wheel, main shaft of machine tool , textile machinery, tool , spindle, etc . Driven by Nylon belt , equipped with Variable speed motor to drive . 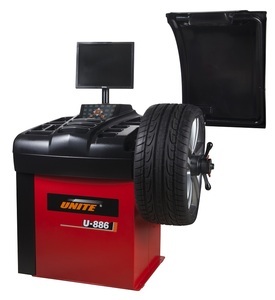 Which ensures high quality balancing and precision. Sanmenxia Shangyang Electrical Appliance Balance Machine Co., Ltd. Driven by universal joints, equipped with Variable speed motor to drive . Which ensures high quality balancing and precision. 2) Hign sensitivity sensor,good linearity. Shanghai Guangchun Dynamic Balancing Machine Equipment Co., Ltd. It can be applied in all kinds of single/double plate and hard/soft bearing machines, and can be connected with different velocity and pressure sensors easily. The unit adopts industrial computer made in Yanhua Industry Co, which equiped with 17-inch LCD screen and Windows XP Operating System. Featuring with high running speed and reliabilitystrong dustproof and shakeproof ability, it is applicable to various industrial environments. Hangzhou Jizhi Electromechanical Co., Ltd. This has horizontal type universal hard bearing machines, and fully automatic working cycle. &bull; Training how to install the machine, training how to use the machine. &bull; After sending, we will track the products for you once every two days, until you get the products. 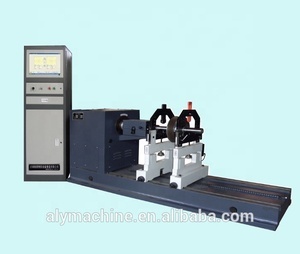 balancing machine Uses of balancing machine : This machine also known as a materials testing machine , is applicable to testing tensile stress, compressive stress, shearing force, peeling force, and elongation of materials, components, and finished product for metal, plastic, rubber, textile, synthetic chemicals, wire and cable, leather, ect. The interior is used the high-accuracy,low-resistance and zero clearance of two ball screw and oriented pole which improve loading efficience and structure rigidity. 3. That Using the business computer as the main control mathine plus the special testing software of our campany can conduct all of testing parameter, work state, collecting data&analysis, result display and printing output. RH802 Dual channel vibration analyzer technical parameter Features l 3.5 inches TFT large LCD screen, simple flow chart, compact and light weight, more convenient operation. l Wide analysis frequency (0~40KHz), high spectrum resolution ratio, can meet the requirement for precise and complex equipment (high-speed gear) analysis. Long time domain waveform, equivalent to digital tape recorder, can capture the machine&rsquo;s transient process data; Coast up/down testing analysis, to track the vibration varies in starting and stopping. Taian Haoshiyuan Auto Equipment Co., Ltd. Delivery time and Transportation Delivery time: 3-5 days after receiving the deposit. Q1. What is your terms of packing9 A: Generally, we pack our goods in neutral cartons. We'll show you the photos of the products and packages before you pay the balance. Schenck Shanghai Machinery Corp., Ltd.
2 Years Warranty The seal plate mining anode hardening protects the ball screw and increase service life and precision of the instrument. Jog control and very easy for operation of machine Many relevant tests can be performed with optional grips and extensometer of fixtures. 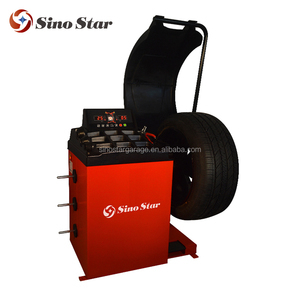 The technical staffs have working experience in large tire enterprise who can design more suitable equipment for the customer as for tire production process. turbo core high speed dynamic balancing machine Welcome to contact us Tel No : 0086 20 62182028 | 86 13719234813 Skype : Mandy. gao8 Whatsapp/Viber/Wechat :+86 13719234813 Air Source The requirements of the air source for the balancing machine are as follows: Pump supply pressure 10 bar Pump supply flow rate 2.0m3/min Air tank pressure 10 bar Air tank volume 2.0 m3 Connecting pipe Shoter than 5m Minimum inner diameter 40mm Power Oil Requirement Test Models Garrett GT15 3-K K03 GT17-41 K03-0003 GT17-44 K04-5.2 GT30BB K04-5.8 T04 K14 T2 K14HL T25 K16 T28 K16HF T3 K16-PORSCHE T31 K16SP VNT15 K24 VNT15-2 K24-6405 VNT18 K24-P933 VNT20 K26 VNT25 K26HF Hitachi HT12 KP35 HT7 IHI F3-VZ28 Holset H1C RHB3 HIE RHB3-VZ9 HY35 RHB3-VIBG MHI TC05 RHB3-VZ25 TD04 RHB4 TD04-SU RHB5-L TD04 HF RHB5-M TD04-2 RHB5-S TD04H RHB5-VICC Toyota CT12 RHB6-L CT12-L RHB6-S CT12HF RHF4 CT12Twin RHF5 CT20 RHF5-2 CT26 RHF5MF CT9 Schwitzer S1B S2A If you need more information ,welcome to contact me at any time. 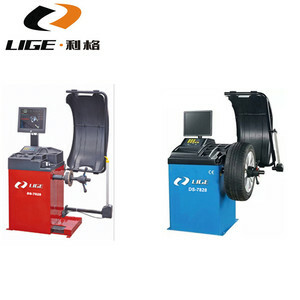 Alibaba.com offers 29,216 balancing machine products. About 20% of these are testing equipment, 16% are wheel alignment, and 2% are tire changers. 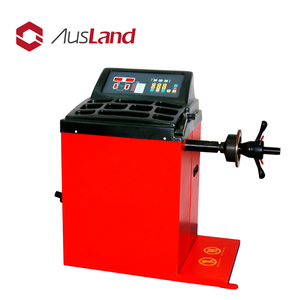 A wide variety of balancing machine options are available to you, such as balancing machine, vibration testing machine, and auto testing machine. You can also choose from electronic, hydraulic. As well as from free samples, paid samples. There are 29,051 balancing machine suppliers, mainly located in Asia. The top supplying countries are China (Mainland), Ukraine, and India, which supply 98%, 1%, and 1% of balancing machine respectively. Balancing machine products are most popular in South Asia, Western Europe, and Africa. You can ensure product safety by selecting from certified suppliers, including 16,262 with ISO9001, 3,192 with Other, and 482 with ISO14001 certification.